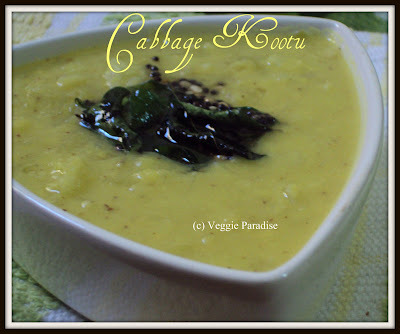 A Healthy, tasty kootu with cabbage and moong dal. Pressure cook the moong dal with turmeric powder, mash them to a smooth paste and keep it aside. Cook the chopped cabbage with sufficient water until done. Now add the mashed moong dal along with the grinded paste and stir them gently. Add salt and bring it to boil. Finally temper them with the tempering ingredients. Wonderful looking kootu, love it very much.. I make ditto same,except add one shallot in grinding part,love this very much! Wow, a perfect thing with hot rice. what a nice and comforting dish! 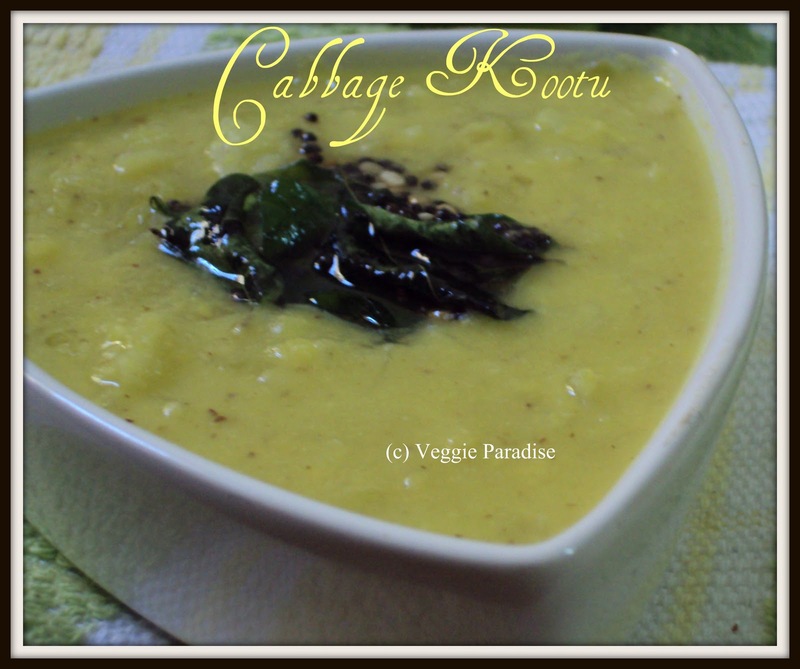 Cabbage kootu looks delcious..perfect with hot rice..
healthy kootu looking temting comfortable with rice. Nice one, never knew cabbage could be used this way too.. 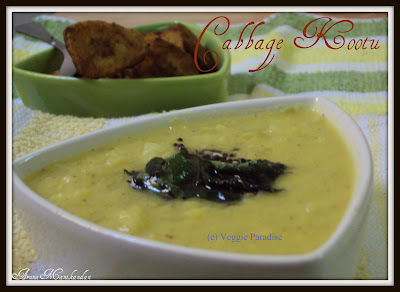 Simple and tasty:) We normally make beans with moongdal.. I need to try ur version too. Yummy kootu,I make this often. healthy and tasty...yummy curry with rice.